The error file, Report.wer, is available. I do not know how to view the contents. Where do I get assistance to resolve the issue? Is it system configuration, missing item(s) from minimum requirements, or simply the need to reinstall? Try resetting the app by holding down the CTRL key and opening the app, on the window that opens select Clear. If this fails to resolve the issue can you check the following folder %APPDATA%\Affinity\Photo\1.0\CrashReports to see if it contains any crash reports. To get here follow the steps below. Can you also confirm your system spec? I tried resetting the app by holding down the CTRL key and opening the app. The response was the same as previous. I checked for the CrashReports folder and there was no folder by that name. I did locate the SystemInformation.txt and Log.txt files. The Log.txt file is empty. The SystemInformation file lists my hardware and software configuration. Where do I obtain a list of REQUIRED hardware for the product to perform properly? Is there a utility available that checks for missing or incorrect required items? This would be handy to compare against the SystemInformation.txt file. Hard Disk (670 MB req'd) - 108GB available on startup disk and 1.5TB available on data disk. The application still fails to start and no additional diagnostic information has been discovered. I proceeded through the process of re-installing the software. I chose the 'Repair Installation' option with no success. Please advise regarding additional troubleshooting actions that I can take. Additional efforts allowed me to open the AppCrash_Photo.exe file which I saved as a txt file. Review of the file contents shows that Affinity Photo\Photo.exe is correctly installed in the 64 bit folder 'Program Files' however, the program is loading modules from \Windows\SYSTEM32\ , the 32 bit filesystem. Can you assist on what actions are necessary to direct the program to load the dynamic link libraries and other binaries from the correct Windows directory? Are there specific actions that I need to take during the installation process to ensure the correct path(s)? Is there a configuration setting that I am not aware of that requires corrections? I have attached the AppCrash_Photo.exe file for your review. You don't need to redirect the program to load from any specific folder, the installer puts all the files in the correct location. The only other app so far we know can cause Affinity on Windows to crash on startup is FastPictureViewer Codec Pack, do you have this installed? If so if you update to build 3.8.0.9, it should allow Affinity to open. Another option would be to do a clean boot in Windows 7 and see if anything else that's starting with Windows is causing the issue. I do not have FastPictureViewer Codec Pack installed to my knowledge. 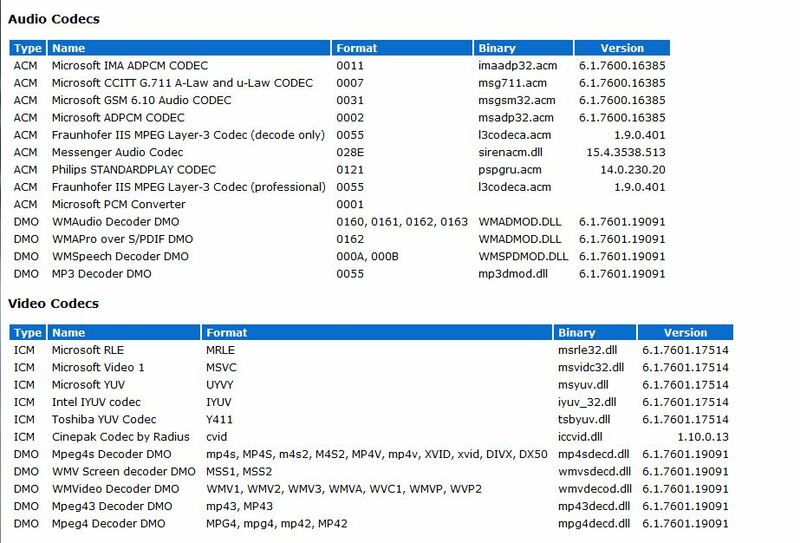 I have attached the list of Audio and Video codecs installed on my system. In reviewing the file I noticed the first four Audio codecs have the same Version number, indicating a Pack. The last four Audio codecs and the last five Video codecs also have the same Version number, indicating another Pack. The first five Video codecs also look like a set. This leaves five Audio codecs and one Video codec about which I cannot make a determination. This leads me to the question: How and where can I find out what the latest version number of installed Windows 7 codecs? The application did not run properly and crashed on startup. While in the 'clean boot' I attempted a 'repair' of the installation with negative results. While in the 'clean boot' I removed the application and re-installed the application with negative results. I then started checking the computer management logs and while they were open I recreated the error. I have captured the three generated log entries in the attached file along with a copy of the error Report.wer file. Hope this is helpful to the support and development teams to help understand and resolve this issue. What version of the Microsoft .NET Framework is required for Photo.exe to perform properly? Research shows that Error Event 1026 is associated with .NET Runtime issues, as shown in the error logs that I provided. I inspected my system Windows features and the Microsoft .NET Framework is version 3.5.1. Please advise if this needs to be updated to support Affinity Photo. Affinity Photo requires Microsoft .NET Framework 4.6.2 to be installed on the system. Use this link to download the offline installer direct from Microsoft. With reference to accessing the System32 folder have a read of this page which also links to this one. The background information regarding the System32 folder usage was very helpful and cleared up my confusion regarding the binaries. 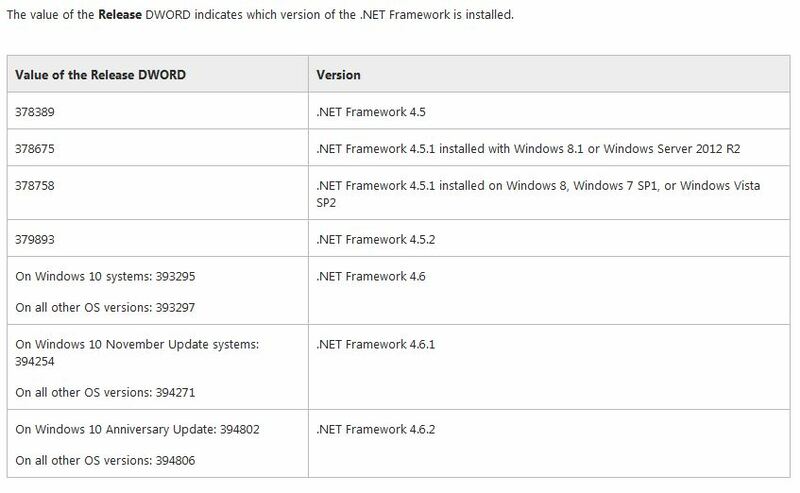 '.NET Detector' did NOT correctly identify the installed versions. Traversing the Registry to "HKEY_LOCAL_MACHINE\SOFTWARE\Microsoft\NET Framework Setup\NDP\v4\full" only provides the Visual C# compiler version. After traversing the path in the Registry using Regedit, look for the name 'Release', which indicates that .NET Framework of 4.5 or newer is installed on the computer. Using the Data value in parentheses at the end of the line, compare that with the DWORD table from Microsoft to determine the installed .NET version. An additional issue associated with starting Photo.exe was that I was getting a second 'Application Error' during program initialization. The Faulting application name was: NvStreamUserAgent.exe, version: 7.1.2084.9592. I approached this as a "program conflict" and disabled the service. This action removed the Application Error for 'NvStreamUserAgent' in the subsequent Windows Error Reporting log. I still am unable to execute Photo.exe successfully. I continue to receive a 'System.NullReferenceException' in Windows Error Reporting. I applaud your persistence and skills to work through all that ("that" meaning everything in your posts above)!